Do you ever have days where everything goes wrong? Wouldn’t it be nice if you could more consistently set yourself up for success? Numerology is an ancient mystical system that can help you do just that. In this article I explain the numerological vibration of each day, and then break down how that vibration impacts your sales activities, as well as a number of other common business tasks. Using this information, you can now schedule your work life in such a way that you greatly increase your chances of success! But did you know that certain activities are more or less likely to succeed, depending on the numerology of the day on which you do them? Let’s say you’re trying to decide whether or not to go to a particular networking event. Knowing the numerology of the event can give clues about whether it will benefit you or not. The same thing works for sales. Trying to pick a date for your next webinar? 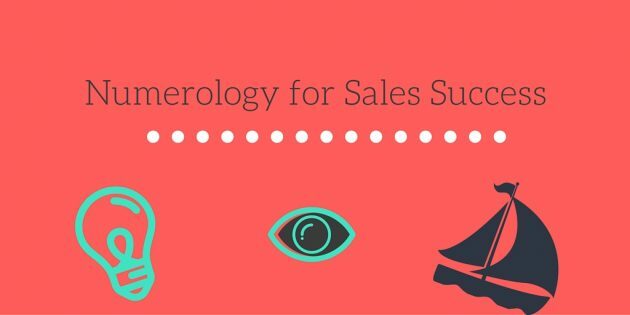 Using numerology to guide your choice will increase your chances of success. The first step is knowing the numerology for the date you’re wondering about. So the numerological vibration for the day of your event (April 28, 2016) is a 5. Now what does this mean? What kinds of activities are recommended on this day? Will a networking event be a good use of your time? Now that you know your networking event is on a 5 day, you begin to get an idea of whether your networking event would be a good idea or not. 5 is the number of change, freedom and adventure. 5 days are great for ideas, intellectual pursuits, exploration and seizing opportunities. All of that sounds really auspicious for a networking event! But 5 is also a day to expect the unexpected. While that could mean that you’ll make a great connection with someone you never in a million years thought you’d meet, it could also mean that you’ll break a heel on your way to the event and end up going home early. I don’t want you to think that your life has to be ruled by the numbers. Instead, I want you to recognize the kind of energy that’s available, and plan accordingly. For instance, if you’d like to host a webinar, you can be successful on almost any kind of a day. The trick is knowing how to tailor your webinar so that it suits the vibration of the day. This section discusses the best days for group sales activities. The following section addresses how to close sales or make high-ticket offers in one on one situations. This is a great day to expect others to do exactly what you tell them to do. So if you’re making a “click now to buy” offer, or you want people to go to the back of the room and buy, that will do well today. It’s also a good day to launch an ad campaign. 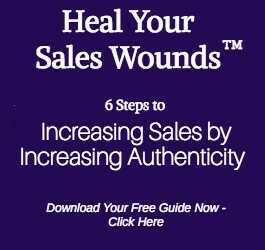 Emphasizing the uniqueness, or newness, of whatever you’re offering will increase sales. Limited time offers & fast action bonuses do well this day. It’s also a good day to launch an ad campaign. This is the day for peace and harmony, relationships & communication. A successful sales event today is one that utilizes live coaching, or where the Call To Action is to book a one on one sales conversation. Don’t expect quick decisions, so it’s not advisable to offer a bonus that expires that same day. This is a good day to sell any kind of a group program, where there will be lots of interaction with each other. It’s also a good day to let participants interact with each other in a fun or playful way. Another sales tactic that will work well is to ask participants to be creative or expressive as part of the sales process. This isn’t the best day for making sales.People just won’t get excited about what you’re offering, or they’ll have a hard time believing that hiring you or buying from you will help them make the change they’re after. It is a good day to fix whatever might be broken in your funnel however. If you’re at a live event, it’s a good day to review what was offered the day before, explain in further detail, etc. This kind of day is great for sales, but expect higher than normal refunds, or people unwilling to commit. You can also expect the unexpected – so you could have tech issues on this day. On the other hand you could also pop a BIG sale. Don’t go off-script or take other unnecessary risks. This is not a great day to start anything new, so don’t make offers to cold traffic or people who don’t know you from Adam. But if you’re talking to a warm audience, or people who already know and love you, making offers to them on a 6 day will attracts abundance and success. Using existing clients as testimonials, especially if they’re emotional and feel-good, rather than strictly monetary, will be very effective. This is also a good day to nurture your affiliates. Avoid making sales on this day, as the energy is profoundly inward-focused. It’s also quite spiritual energy, rather than material. It’s a great day to review your sales process & receive inspiration about how to tweak it. Just don’t go in thinking you already have the answers. The gift of this day is the whispers of your intuition. Excellent day to present yourself as an expert & thought leader. Shoot videos, give stage presentations, be interviewed, kick off a live event – all excellent methods for generating sales on an 8 day. Emphasizing your accomplishments will be viewed favorably this day. Great day to make high-ticket offers. Great day for a webinar that’s the culmination of a launch, or the final day of an event. Remain unattached to the outcome, trusting that the abundance of the Universe is yours for the taking. If these particular people don’t buy, others will. The same kind of analysis can be applied to a one on one sales situation, or a situation in which you hope to close the prospect at the end of the meeting, or when you’re making a high-ticket offer. Emphasize your role as leader, as pathfinder, as rule-breaker. Good day to close any personality type, as long as you present yourself in a way that will be appealing to them. In other words, don’t let your ego or arrogance get in the way. Excellent day to close a sale when you’ll be in a supporting role to your new client or customer. Emphasize the balance and harmony that will be created by having you on the team, ask a lot of questions, do a lot of listening. Good day to close S’s, not D’s (unless you’re able to do it quickly and/or play to their ego). Emphasize how much fun you’ll have together, how much you’ll be able to create, the new territories you’ll explore. Good day to close high-I’s, bad day for C’s (unless you’ve also got lots & lots of data to support the sale). Not a great day to close a sale, unless it’s a high-C personality, who will want to review every detail of the deal. The same thing I said above applies: it will be hard to excite your prospect, or get them to believe that anything will change for them when they hire you. While this is a great day to make low-ticket sales because you can attract a lot of attention with your offer and paint a clear picture of the results they’ll get from hiring you, it’s not as effective for one on one or high-ticket sales. The reason is they’ll want to rewrite the contract and introduce new topics for consideration. Or they’ll be wishy washy and unwilling to commit. It could be a great day however to make a truly dazzling presentation, just don’t expect them to sign that day. Also have a backup plan for your backup plan, as 5 is the day of the Unexpected. This is the single best day to close a big sale, assuming it’s a warmed-up relationship. Simply nurture and expand upon whatever they liked about you in the first place. Feel confident, be patient (don’t rush the appointment or the close), open your arms and allow them to walk in for the loving embrace of hiring you. This is the worst day to close a sale, because of how inward-facing the energy is, and how non-material. It could work if you’re selling an intimate product like personal coaching, but be prepared to do a full therapy session with the person before they say yes. This is the best day to close high-D personalities, high-ticket offers, or any product or service that will put you in a leadership role with your new client or customer. You come across as powerful, knowledgeable and reliable this day. Take responsibility, propose solutions to tough problems, offer strong guarantees. In short, be a leader who others can follow & trust. This is a great day to conclude a sale that’s had a particularly long sales cycle. It’s also auspicious when buying from you represents a definite departure from the old way of doing things, or if they’re hiring you to clean up a mess or fix something that’s broken, or if they’re basically handing over the reins to you. Leave me a comment below letting me know which part of this article was most helpful to you, or how you’re most excited to use it.